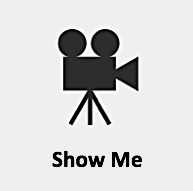 If you have a large number of agents, you might wonder how you can quickly locate a specific agent. The Manage Agents page enables you to sort agents by any of the displayed property values (Name, Email, and Role). 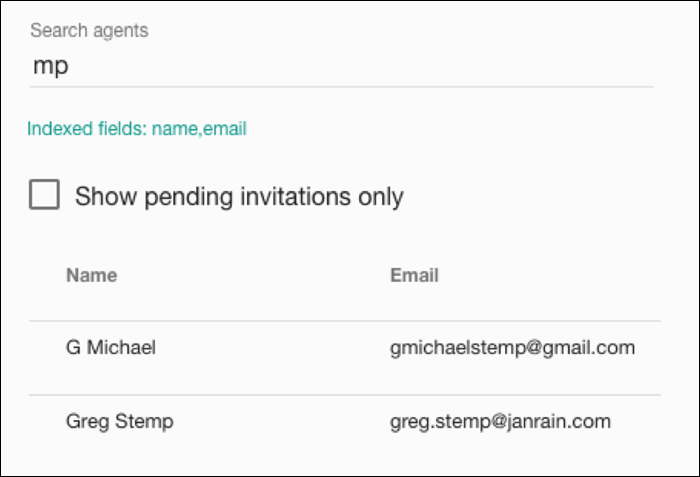 In addition to that, the Manage Agents page also lets you use unique character strings to filter your agents by name and/or by email address. Because of that, in this documentation we’ll use the term “filter” instead of search. So why didn’t anything happen? There’s a good reason for that: if you look closely, you’ll see that all of the agents have the letter m somewhere in either their name or their email address. 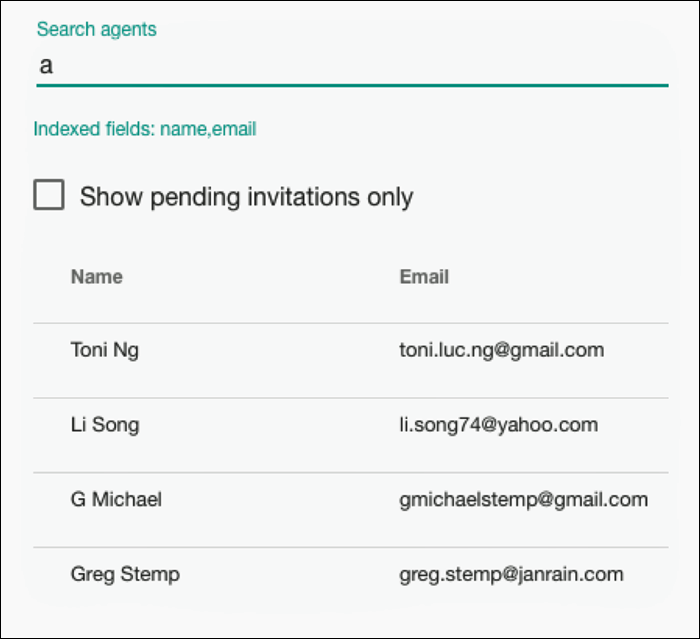 And that’s what the agent search feature is all about: finding character strings within a name or an email address. 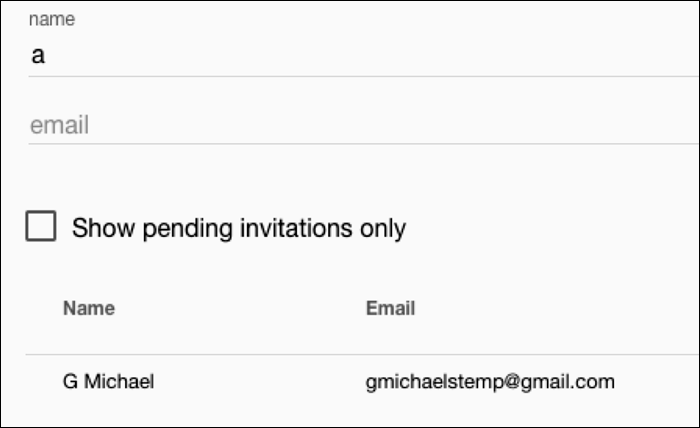 When we type the letter m in the search field, we’re telling the Console, “Show us all the agents who have the letter m somewhere – anywhere – in either their name or their email address.” And that’s exactly what the Console has done. For better or worse, we just happened to pick a letter that appears in either the name or email address of each of our agents. Now you see how filtering works. With just a few keystrokes, we were able to locate this one agent account. And this technique would have worked even if we had had 400 agents instead of just 4. 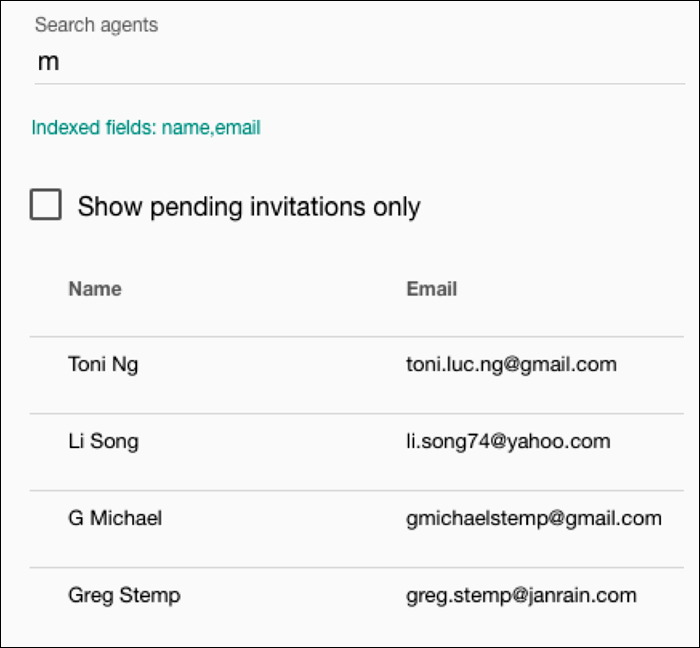 To restore the default display, and to view all the agents again, simply delete the text from the Search agents field. 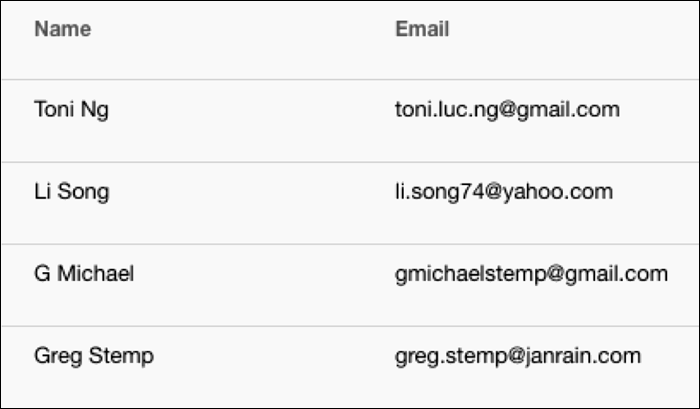 Before you ask, no, there’s no way to limit the returned data to names or email addresses that start or end with the letter m. The Console always searches for the specified character/character string anywhere in the name or email address. Note. Not even if you use wildcards? That’s actually a moot question, because wildcards aren’t supported when looking for agents. In fact, if you type an asterisk or a question mark, the Console will look for users who have an actual asterisk (*) or question mark (?) in their name or email address. Now only one agent is displayed: the one agent who has the letter a in his name. The other three agents, who have the letter a in their email address but not in their name, have disappeared. To show all the agents again, clear the checkbox. 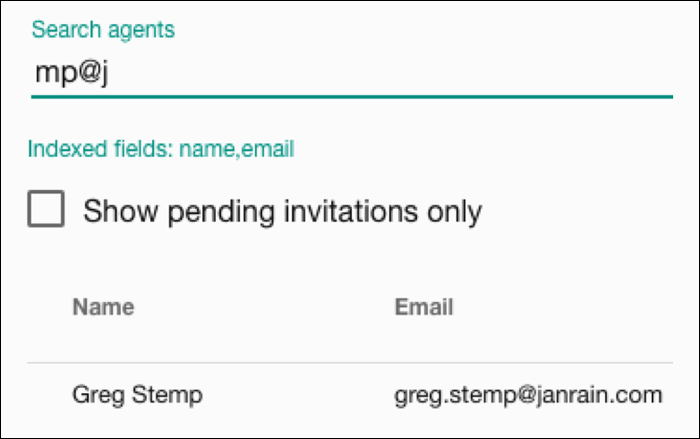 Keep in mind, however, that you can’t do the inverse here: you can’t hide the invitation-pending agents and display only registered agents. At best, you can click Role to sort agents by role. That won’t suppress the display of the unregistered agents, but it will group all those agents together (because none of them have a role until they register).